Last Friday night the library at El Marino Language School in Culver City was filled to capacity with students and parents, there to participate in the “Lola Zola and the Lemonade Crush” Readers Theater. It was the school’s Tenth Annual Literary Night, and the culmination of a fabulous week-long book fair. What fun! The authors, Marcy Winograd and Jackie Hirtz, read from the first chapter of their middle grade novel and then… students volunteered to act out the roles of 11 year-old Lola Zola, her best friend Melanie Papadakis, Lola’s rival-in-chief – sometimes crush Buck Wembly, his side-kick Hot Dog Hernandez, brainy fellow classmate Samantha, and teacher Mrs. Rosenberg. The audience chimed in for lively chants of “Lola Zola for class president,” and the requisite “boo’s” and “yay’s.” Some of the students gathered for a photo at the end of the raucous reading before heading off to the cafetorium for lemonade and a book signing. 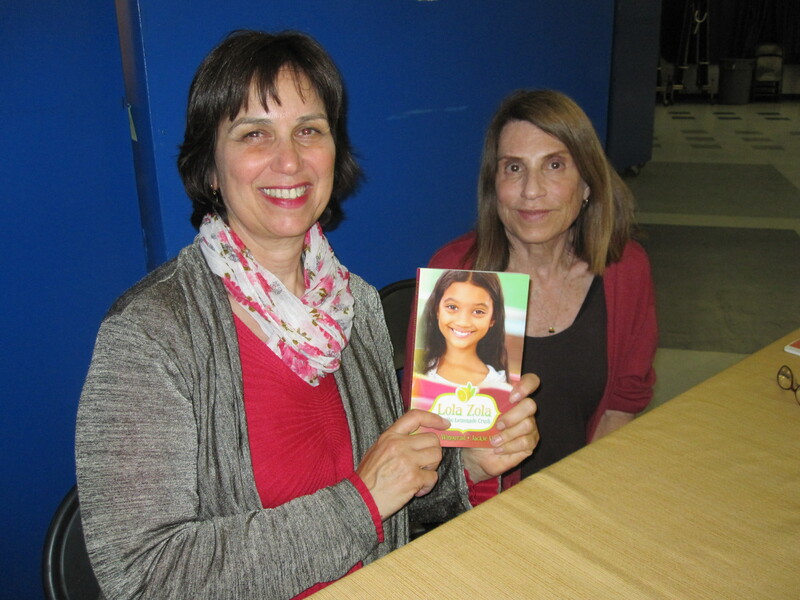 Special thanks go to Rosanne Giza, an amazing parent-volunteer who organized the Lola Zola authors’ event!